Clark Lowery & LumpkinFriday FreebieFriday Freebie. Legal Tip of the Week! 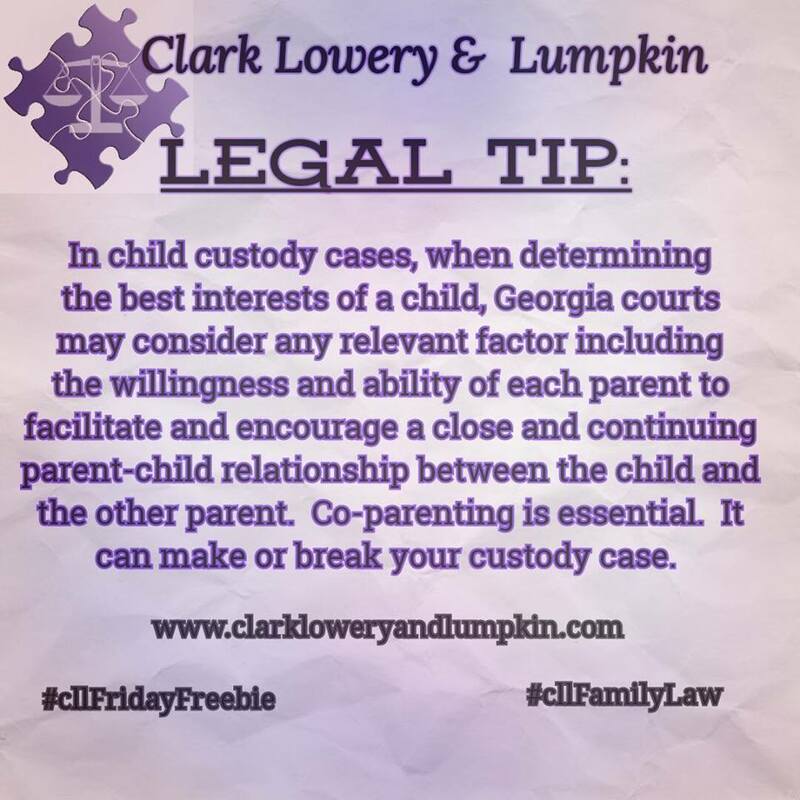 One factor Georgia judges consider in custody cases is one’s ability to co-parent. Not fostering the relationship between the child and the other parent could have major consequences.